FORWARD Ep. 36 | jibtv.com | Japan International Broadcasting Inc.
Around 70% of cherries produced in Japan come from Yamagata Prefecture. However, the area has struggled to overcome an image problem caused by the nuclear meltdown in Fukushima. 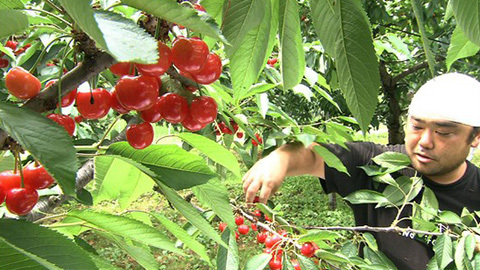 The program follows the continuous hard work of farmers to grow high-quality fruit and the efforts of Yamagata's governor to promote the prefecture's produce.